Are you in need of a way to streamline your workflow to keep you focused and on track? 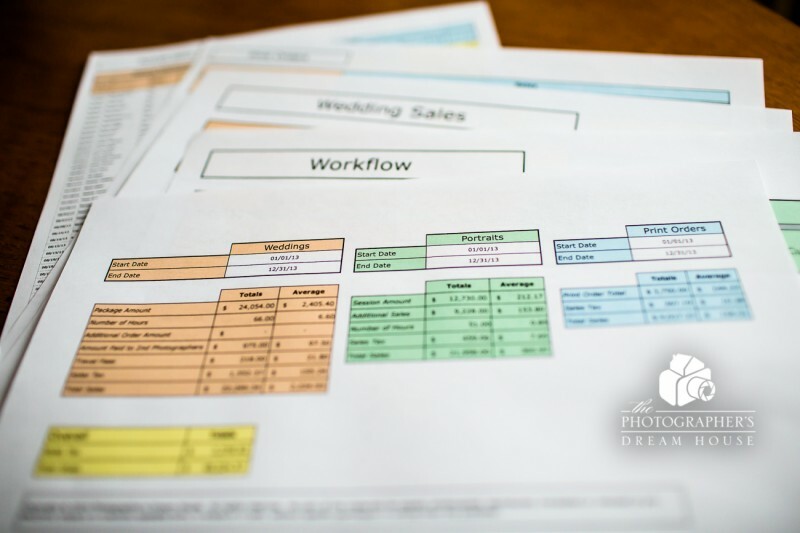 Do you feel as though your photography business is unorganized and inefficient? Looking for a way to track all of your annual sales in one place? Are you scrambling to calculate how much sales tax you need to pay when it comes due? Introducing the Photography Workflow and Sales Tracking Tool! How will this help my photography business? Time is money, right?? Well, this tool is geared to save you tons of time! By having everything organized for you and being easy to use, this workflow and sales tracking tool will make managing your business a breeze. What software do I need to use this tool? Microsoft Excel is what this program is based off of. You will need to have a version of Microsoft Excel 2008 or later installed to properly use this workbook. Yes! 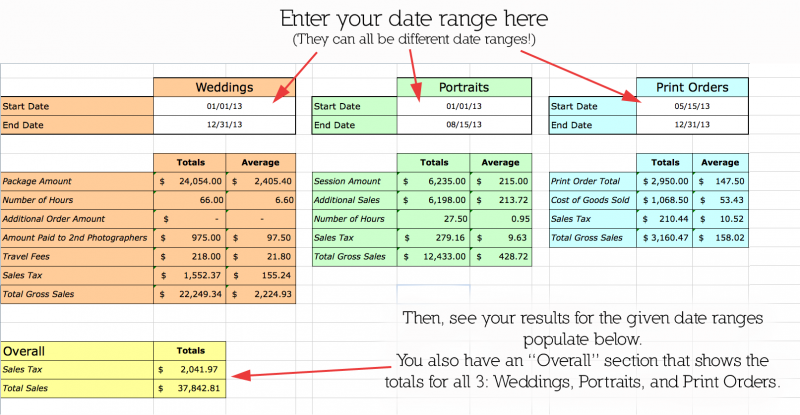 When you purchase the Photography Workflow and Sales Tracking Tool, you get an Excel AND a Numbers version of the workbook. The Numbers version will work wherever you have Numbers installed, including iPhones, iPod Touches, and iPads. Yes! There is a 14-day money back guarantee on all of our products. Give it a try, completely risk free! I offer this guarantee, because I am incredibly confident this product will do wonders for your photography business. I will gladly refund you back your money if it doesn’t.